I woke this morning to the news that Louise Hay has left this plane of existence and rejoined the Light. I will honor her today and always for paving the way for independent bookstores like me to think differently than we were raised and for her books that fueled the faint voice inside me, telling me to love myself so long ago. And for the loving support of the books of so many other Lightworkers, sharing their wisdom through her publishing house right here in Carlsbad. I have been lucky to meet Louise many times over the last 19 years, she came into SoulScape often, her smile was genuine, and her eyes were always kind, shining at you with the truth of her Light. 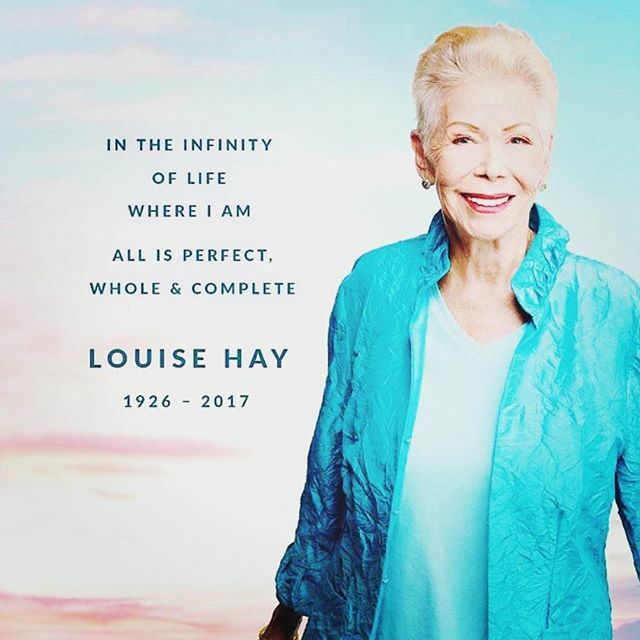 You will be missed Louise Hay, but honored for your Light and Life always.